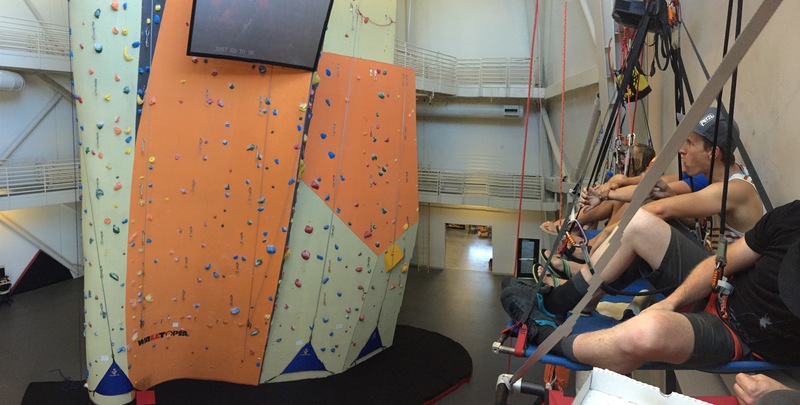 It’s been a long few weeks here at the Petzl Training Institute. 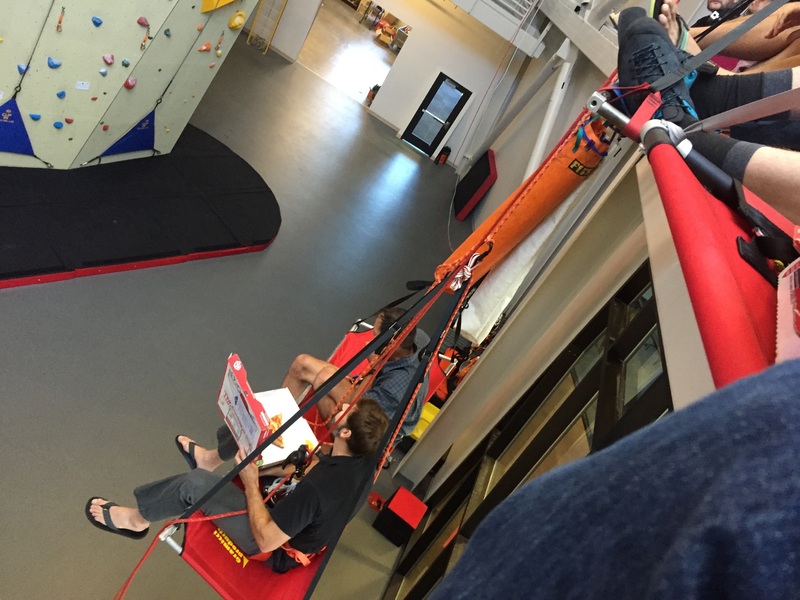 We’ve traveled across the country to meet with our Technical Training Partners, the Climbing Wall Instructor team from The Front, and bringing in the Backcountry.com crew for climbing. Seeing that it was Friday we decided to relax and treat the Petzl America team to pizza and a movie. 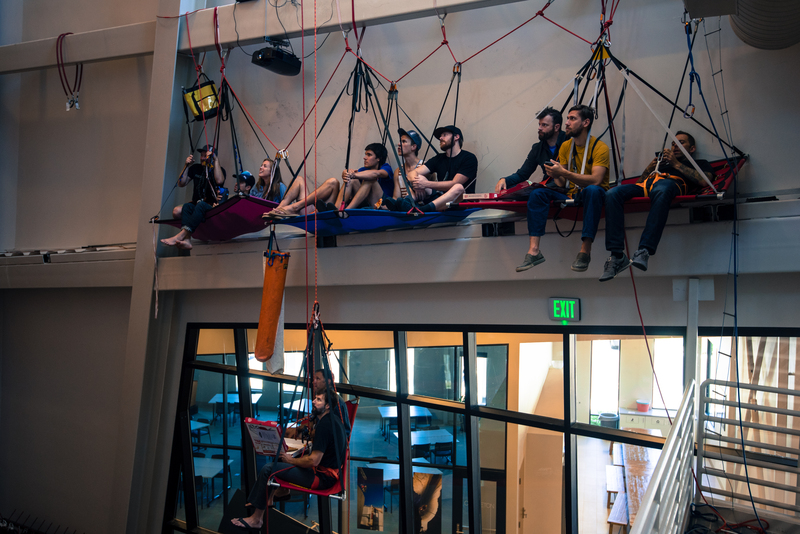 It’s a little known fact that the PTI facility includes not only training walls for rope access, rescue, and climbing but also a one of a kind multi-level cinema. It was a quick morning’s work to set up the cinema, order the pies, and then put up movies for a vote. K2 beat out Eiger Sanction, Cliffhanger, and Vertical Limit and the collective Petzl team kicked back for a bit of Friday R & R.
We’re back in full swing preparing for the CWA Certification Summit but the ledges are stashed and ready for another cinematic party.